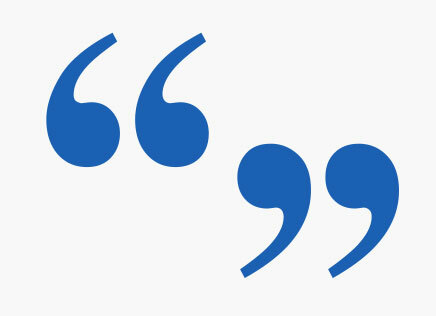 If a picture is worth a 1,000 words, then a customer testimonial is worth at least a million. We pride ourselves on listening to our customers, and shaping the product to fit their needs. You could almost say AceReader was designed by our customers and built by us. But that would sound weird. According to the 2015 NAEP Report (the last year that twelfth graders were included), slightly over 1/3 of public school fourth, eighth, and twelfth graders read at a proficient level or above . (https://www.nationsreportcard.gov/reading_2017/#nation/achievement?grade=4) The overwhelming majority of that 37% is at the proficient level. As most teachers know, “proficient” isn’t equivalent with grade level. The statistics for 2016 and 2017 for fourth and eighth graders has fluctuated back and forth one percentage point. It seems melodramatic to state that our country is in a reading crisis, and certainly policy makers will not use such rhetoric. However, when only 37% of fourth and eighth graders in our nation’s public schools can read at a proficient level or above, there is definitely work to be done. I have a unique perspective on the situation as I teach reading to underprepared college freshmen who sometimes come to college reading below an eighth grade level, and on the other end of the spectrum, I teach Foundations of Research-Based Practice for Reading to those changing from other professional careers to education. As I prepare these future teachers, I see the challenges they face in K12. Teaching reading today is a much more difficult task than someone on the outside would imagine. With insufficient funding for classrooms, the diverse language needs contained within today’s classrooms, the sometimes overcrowded classrooms, the need for differentiation for a wide range of abilities, the accountability reports, the legislative changes of state standards, and finally, the concern over too much screen time for students—what is a reading teacher to do? It is a puzzling question. I have found a very important piece to that puzzle in ACE READER. I have used ACE READER for close to a decade in my college reading courses, and I recommend it to my students enrolled in Foundations of Research-Based Practices in Reading, a required course in my college’s Educator Preparation Institute. I tell my teacher-in-training students that if they have funding for only one computerized reading program, ACE READER is the one that will have the biggest impact on their students. First, it is pedagogically sound and supports my instruction in my college level developmental reading courses. That should be a given in a reading program, but often programs have a lot of distracting bling but very little sound instruction. Secondly, the program is neurologically sound. The eye/brain coordination drills that are vital for struggling readers have several benefits. Visual cortex stimulation, intense concentration, left to right tracking, and expanded peripheral vision are just a few of the advantages of these drills that “prime the pump” for reading. In addition, ACE READER promotes fluency which profoundly impacts comprehension. The components of fluency--- prosody, automaticity, speed---all advance comprehension. ACE READER facilitates automaticity and enhances speed. In this program, speed isn’t for speed’s sake; it is directly tied to comprehension assessment, which brings me to my next point. The reports generated by ACE READER track and gather all of the information a teacher needs to plan instruction and to comply with accountability reports. The reports are easy to understand and share with parents and students, as well. The reports also speak to the efficacy of the program. At my college, our cumulative reports show that 75% of students who have taken at least two assessment tests demonstrate an improved Effective Reading Rate score by an average of 80%. Finally, I’ve never had a better relationship with a vendor than I have with ACE READER. I get very quick responses if I ever have an issue (which seldom happens) that I can’t resolve myself. Most important to me, though, is that I can call and speak to someone who clearly has concern for students and can speak with me as a colleague would about pedagogy. This company has generously met every need I’ve encountered for my reading students. My experience has truly been like no other online or software experience I’ve had over my thirty-four year teaching career. I have been using Ace Reader for at least twelve years, and I can't imagine teaching without it. When I started tutoring middle and high school students, especially for the SAT, SSAT, ACT and other high-stakes tests, I realized that many of my students had problems with reading speed and comprehension. I started looking for software that could help them, partly because I myself had benefitted from reading comprehension training when I was a student. I tested several programs, and Ace Reader was the best by far the best, both then and now. I've recommended it to many families and I'm pleased with how much effort the company has put in improving their product over the years, as well as by the caliber of its support. Now Ace Reader have an online version, and teachers and tutors can track their students' progress. I've seen dramatic gains when students follow the course mode and practice 3-4 times a week. With the recent changes in the SAT, good reading speed and comprehension has become even more important. For teachers, tutors, and parents working with students, as well as adults frustrated with their current reading levels, Ace Reader is the best reading improvement program anywhere. I was just reading through my students' final journals from last semester, spring 2016, and thought I would share some responses they wrote about the AceReader program. One student wrote: "The AceReader program really helped me stop rereading everything I read. I discovered after a few weeks working with the program that I was able to comprehend important information without going back over everything! My focus is much improved. This really helped me with my History and Psychology texts." I am reading over 70% faster. Another student wrote the following: "I was surprised how much I improved in my reading rate without lowering my comprehension. It took a few weeks before I noticed how the program was helping me. But by the 4th week I was reading more smoothly and gaining confidence. I wasn't stopping as often as I read. I just kept going and found that I was understanding more as well as reading faster!" "I tried doing a session on the AceReader just before cracking open my Philosophy text for another long read. It was interesting in a good way. If I do a 15-20 minute session on the AceReader before I study or read long chapters for my other classes, I am more focused and in the zone for reading. Less painless and definitely faster. The program has helped me with my reading workload." "I thought because I was bilingual that I could never improve my reading speed. I thought I needed to read very slow because my vocabulary is small. I was wrong. The AceReader pushed me to read faster and as soon as I tried doing it, I was surprised. I was able to understand what I was reading even better when I read faster. I also liked the readings. I still remember some of the readings I read 3 months ago." Just wanted to share a few student responses with you regarding this effective reading program! Reading Specialist, Paper Class, Inc. I learned about AceReader while working at the University of North Carolina, Chapel Hill. I was looking for a reading fluency program. A colleague of mine met a professor at the Air Force Academy at a national reading conference and connected the two of us together. That's when I learned about AceReader. At UNC we implemented a reading program similar to what they were doing at the academy and the program immediately became popular for undergrads, graduate students, students preparing for MCAT exams. Even faculty signed up for the course using AceReader. Everyone was interested in learning how to be a more efficient reader by improving speed and comprehension. The results were overwhelmingly positive. Students were competing with each other and having fun while using the program. It was exciting to see students engaging in reading improvement exercises. AceReader can be used at home, supplemental tool in the K12 class room, in the resource room, the library, community center after school, summer programs, sports camps on campus and community colleges. To meet students where they are at with their literacy skills, and to bring them along in a non-threaten, non-stressful, and engaging way is what AceReader does. I have used Acereader Reading Internet-based applications for over a year now and have been thrilled with its results. My students are focused and enthusiastic about their learning and their abilities to improve their reading speeds as well as their comprehension. The interactive games and learning tasks engage students and promote continued learning. A majority of my students started at reading levels ranging form 90 to 150 and within a few weeks of using the speed reading applications have doubled their scores. Best of all the students can access the application from any computer at school or home, so they are always learning and growing. Another plus is the variety of reports and tracking tools are accurate and useful for both the teacher and the student. It promotes the desired learning through instantaneous feedback. I have taught speed reading for 13 years now, and I am thrilled with this product. I highly recommend purchasing this application for your students. Mary Turner, Secondary English & Speed Reading Teacher at Monroe Woodbury , Central Valley, NY, USA. Having researched current reading programs and having used the AceReader for several years, I can honestly say this is a quality product that not only improves a student's reading rate but more importantly his or her comprehension. Students love to play the games; the fact that they are retraining their eyes and brains to see and read faster is secondary. They also enjoy the wide variety of stories and often remark on how much knowledge they have gained. This is the learning tool every teacher hopes to find—one that is both fun and educational. 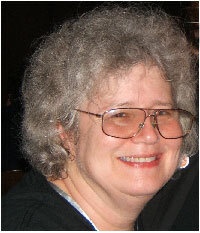 Carolyn L. Davidson, Speed Reading instructor for 20 years, Butte Community College, Paradise, CA, USA. As an elementary school teacher who works with struggling readers from first through 5th grade, I am always looking for programs that will help individualize student instruction. Through grants, I have purchased several very expensive programs for our school, however these programs didn't make a difference for many students. I purchased AceReader to give it a try. With one particular student the results amazed both the student and myself. In two weeks, this struggling 5th grader went from reading word by word to reading complete passages fluently. I brought my principal in to observe the student and she was amazed. Thank you for providing such a great program! Cheryl Souza, ELL Specialist, Kathy L. Batterman ES, Los Vegas, NV, USA. AceReader has been an excellent adjunct for our Optometric Vision Therapy programs. The games are motivating and fun for kids. We use Tach Flash to support rapid recognition of words and phrases, as well as visual discrimination skills. We use Eye Span to encourage use of peripheral vision when reading, and Eye Span with Comprehension for visual information processing over a larger reading area. The automatically-paced comprehension passages help students to build more efficient self-directed reading skills. Many of our patients choose to continue using this software after they graduate, to prime their reading skills as they prepare for high school and college. Samantha Slotnick, O.D., F.A.A.O., F.C.O.V.D., Behavioral Optometrist, Scarsdale, NY, USA. As a reading instructor for Certified Learning Centers, I have evaluated many software programs over the years. However, once I found AceReader, I knew I didn't need to look any further. The program is easy to follow, allows the user to adjust a wide variety of parameters, and reinforces all the techniques critical to becoming an efficient reader. In short, AceReader is a must for anybody who is serious about improving both their reading speed and their comprehension. We have selected AceReader as the software to use in our courses. Miriam Ruff, Certified Learning Centers, Silver Spring, MD, USA. I discovered AceReader eight years ago. As a learning disabilities specialist, it provided just what I was looking for, an inexpensive, yet effective program to address issues of reading rate and fluency. Often students with dyslexia can learn to decode by being taught a variety of phonemic awareness programs, however, the rate in which they process what they have read often lags behind. I have found that AceReader is a very effective tool that specifically targets reading speed and reading fluency. I have also used the graded passages as an informal way to assess my students reading level and students can use the program independently to reinforce the skills we have worked on together. I have used the games with students from first grade to seniors in High School. They are engaging and my students enjoy playing them as a reward for hard work. I would highly recommend AceReader. Lori Loebelsohn, Learning Specialist, Montclair Kimberley Academy, Montclair, NJ, USA. Being in charge of software selection for a school district is a big chore. Our schools reading scores were down very badly and we were searching for a solution through adding software. We found AceReader on the Web and it took only a few minutes to come to a decision to purchase it. Since using it daily on a computer with 4th-8th grade students, we see a HUGE improvement in only a 2 week period. By using this software we can see immediately by charting the graphs just how each student is doing and this is recorded as actual grades in the Reading Teacher's grade book. Two years ago, I added the AceReader program as a supplement for my Reading for Success classes. My college developmental reading students are improving their reading speeds. In the past, I've only had a few students that could reach the class goal of 250 wpm with 80 percent comprehension. Now, my students are averaging well above our speed goal with 80-100% comprehension. Many of the students play multiple games because that is already something they enjoy doing. Our students consistently talk about how much they have improved and enjoy the class..
Sharon Taylor, Reading Specialist & Assistant Professor of English, Western Wyoming Community College, Rock Springs , WY, USA. I have been teaching for 28 years, and I think AceReader is a superb program. If you don't mind I will put a link to the AceReader web site from our school's web site as a recommended program. Peter Kaslik, Toronto Ontario, Canada. Not only do you guys have an outstanding product but you also back it up with amazing customer service. I wish everyone in business was as customer service oriented as you. Lonnie Wiens, I.T. Prof. I, State of Colorado Department of Transportation, Colorado, USA. An excellent tool. I teach reading and reading improvement; this is the second year I have used this program with my students. I find that the students who focus on the program increase their reading speed...most double their speed. They enjoy the word games, as well. I highly recommend this program to anyone who wants to read faster and better comprehend what they read. Deanna Fleck, Edmond, OK, USA. I am a media specialist and I am the designated purchaser of software applications with educational purposes for my school. Rarely do I find such a powerful piece of software at such an affordable price. With the comprehension tests and the viewing of test results, students have a greater sense of their strengths and weaknesses concerning reading and teachers are able to focus more individually on their progress. Many readers read too fast and don't comprehend; others read too slowly. With AceReader, no longer does a teacher have to address fluency if that is not the challenge to a student. The drills increase the skill of chunking and pacing in a very concrete manner, and as for the games, they're very engaging. Even a child who claims to "hate" reading loves a video game. Our school has met AYP every year since implementing AceReader and we have even incorporated the program into our School Improvement Plan because it has proven to be so reliable. So thank you to AceReader for devising an easy to use and affordable program that makes a difference in literacy. Isabelle Leger, Media Specialist, NBCPT, Pembroke Pines Charter Schools, Fl, USA. Our population is a tough one. We have one of the few full time adult high school programs for people 16 and over, and we offer GED/ABE prep classes. We also have a large ESOL population. About half of our students have dropped out or have been kicked out of a K-12 program. Their motivation ranges from low to average. (There are of course exceptions). Most of our software targets areas needed to pass the FCAT or GED. We have Rosetta Stone mainly for ESOL students. Although my higher level ESOL students have benefited from AceReader. I sought out AceReader because I saw that so many of our students have concentration/focusing problems. It is the only program that addresses these basic physical deficits of the inefficient reader. Because the exercises are so engaging, even the least motivated student responds positively to it. Motivated students love it and have shown amazing progress in a short time. All of the students enjoy the eye span games which are especially productive because they force the students to focus on the printed word. What I particularly like about it is that the framework can be used to add new content. In other words, teachers can easily put their content material (reading/vocabulary particular to their subject matter) into the program. Anyway, I really love the program. Our school district has spent a lot of money on software that I, quite frankly, think was a waste of money. Software companies are always coming up with programs that look "pretty" but are mostly just that. That they actually accomplish anything substantive is questionable. AceReader is a robust software that is relatively inexpensive--worth every cent. Diane Kambos, South Dade Adult Educ Ctr 7702, Homestead, FL, USA. I've used Ace Reader for many years, first as a reading tutor and then as a classroom teacher. In my previous district I used it successfully with both my college bound readers and those students who were reading years below their grade placement. It's a great program that's easy to learn and that yields results. One of the things I love the most is that it promotes a healthy competition. Students will always try to beat their last score/time and in some cases will even get a good natured competition going with their peers. They don't realize that everyone wins. Ramona Lowe, NBCT; AIS Secondary Literacy; Curriculum, Assessment & Instructional Servies; Lewisville ISD, Texas, USA. I am currently the data coach (assessment person) and ELA department chair at my school. I left the classroom after 12 years with hopes of affecting ALL the children on my campus rather than just my 6-graders. I was introduced to Ace Reader by our reading specialist at the time, Ramona Lowe. I became an instant fan after watching the reaction and focus of the kids. I used it initially as part of my after-school tutoring. The kids would have 15-20 minutes to work on specific things. They loved the competition among each other and they did not realize how much they were learning until I began to conference with them on their tracking sheets. They were just putting the information on the paper and trying to quickly get to the next module or level. Once we began to look at their fluency growth and their growth in speed, they became obsessed with beating each other in that area as well. They really enjoyed knowing how many words they could read. I noticed a significant growth in the fluency and comprehension of the students. The modules that dealt with hand/eye coordination was significant in teaching them that it was more important to get more right at a slower pace rather than having a faster pace with more wrong. I used this as the model for taking their time on their paper tests and their writing compositions. Although I am no longer in the classroom, I am still a huge advocate for your program. I am adding it to the list of things for our teachers to use for tutoring as well as a station in class when they use rotating stations. Jacqueline Jones; Student Achievement Data Coach; ELA Department Chair; Delay Middle School; Lewisville ISD, TX, USA. As the Reading Training Coordinator for Certified Learning Centers, I have not only evaluated the AceReader, but I have heard back from students and Instructors alike that the program is a hit! It is easy to use, reinforces all the techniques we teach in class, it is a lot of fun, and it is by far the most comprehensive reading program available. Kareem Dixon, Certified Learning Centers, Silver Spring, MD, USA. As an educational therapist, I use a variety of different approaches and programs with struggling readers. My students not only enjoy using Ace Reader but look forward to it! Jarrett Zuckerman, M.S., ET/P, Torrance, CA, USA. I am a University professor and have used the AceReader with my students for over ten years to assess and improve their reading skills. I know first-hand that reading improvement techniques used by AceReader work. Thanks for providing a great product. I also want to thank you for the great support over the years. David Burbidge, Professor Business Administration, California State University Montery Bay, CA, USA. After time I noticed a significant improvement in my students speed and comprehension. What I was most impressed with, however was their long term increase in the quantity of their reading, a natural consequence of reading and understanding with ease, which guarantees a lifetime of continual improvement. I can truly say that Ace Reader is not just a beneficial program, but a sound educational investment. Raphael Jackson, Reference Librarian, Kentucky State University, Frankfort, Kentucky, USA. Since the foundation for learning in all subjects and all professions is reading, the possibilities are endless for the person who reads well. As a sixth grade teacher, I want to do everything I can to make sure life's opportunities are open to my students. Their reading levels vary from third through twelfth grades, which means that individualizing classroom experiences can be challenging. I also know from research and personal experience that reading speed impacts all other facets of reading. AceReader software is a practical tool that allows me to individualize reading practice. My students increase their reading speeds and comprehension, and they look forward to their AceReader turns in class. I know that using AceReader as a regular part of my reading program helps every student. Since the software is multi-level, I see AceReader software as a practical, effective tool to be used at many ages or ability levels. Rebecca Cress, teacher, Santee, CA, USA. If you are in the field of education, you may know that reading comprehension and inference are challenges for all teachers today. Most teachers have to teach 20 or 30 students the same thing at the same time when the class comprises at least 6 levels of ability. I believe I have finally found a solution to this challenge to keep all my students engaged in the learning process without losing precious instructional time. Two years ago I ordered AceReader program for my classroom. I wanted to try this program with my students. I am a special education teacher, for students with reading and writing disabilities, in grades 7-12. Even with my 11 years of experience and a MS Ed in Curriculum and Instruction, it is difficult to work with students simultaneously at their individual level. As any teacher will tell you, there is always at least one student waiting for help and direction. With the AceReader Program, students can work on their individual level and see immediate results after reading and answering comprehension questions. The program also has eye exercises and vision games to increase the speed of seeing a word. I thought the older students would not be very cooperative, but they have been the excited about getting started every day. All teachers and parents are looking for their students to develop intrinsic motivation. With the AceReader students now have control of their education and seem to be even more motivated than ever when it comes to reading. Patricia Rhoads, Special Education Teacher at Billings R-IV, Billings, MO, USA.